Eat. Train. Laugh. : No Brakes Cycling! 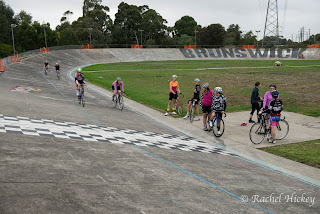 Track cycling is not something which I am exposed to....although I have been to the Brunswick velodrome a dozen or so times (DirtyDeeds CX and Melburn Roobaix) and I knew that it was used for track cycling but I have never experience track racing until I attended the Austral Championships on the 19th Dec 2015. Since then, the whole fixed wheel bicycle thing has become something which I have been fascinated about. 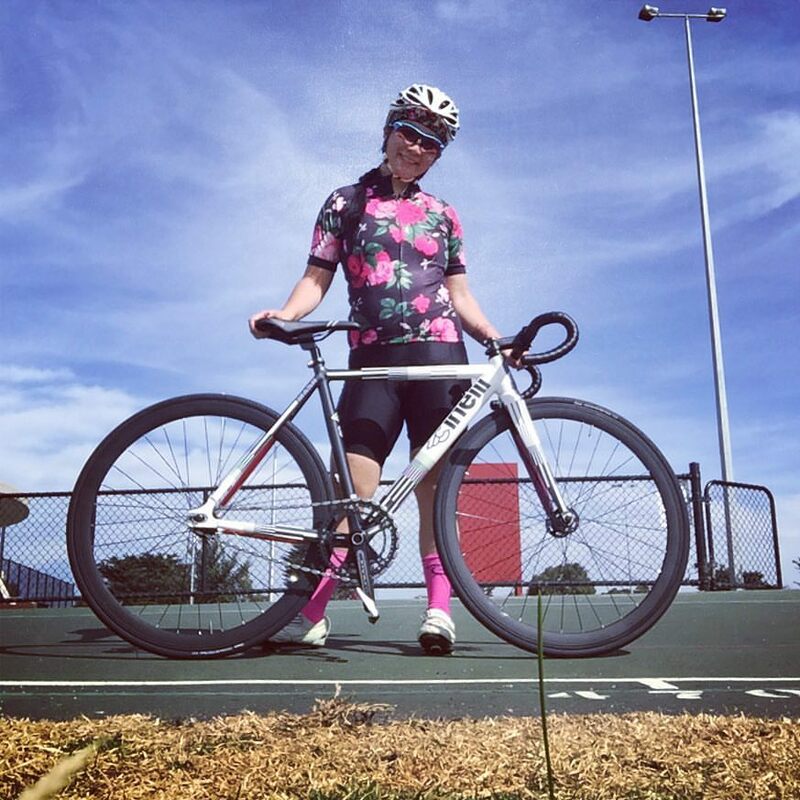 One of my friends has even bought a track bike and she now races them weekly. I tried out track cycling on Good Friday of 2016 (the day after I was made redundant from my work) with the Melburn Hurt girls at Brunswick. 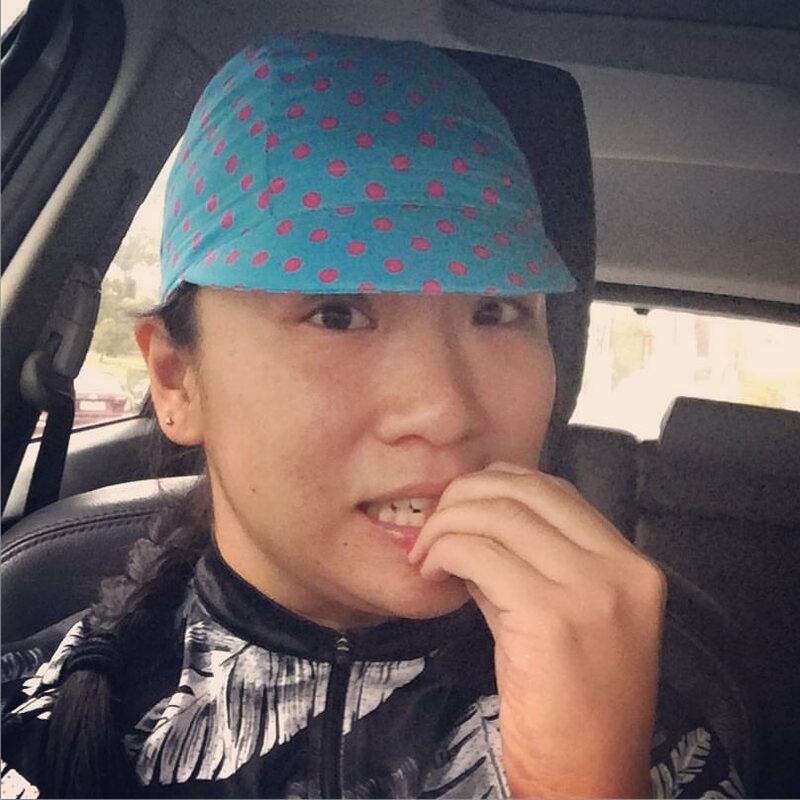 My nervous face before I stepped out of the car to try track for the first time. I went around the track 4 times before I stopped...now stopping on the track bike is another story. Even though I have done it severe times since then, I have no idea if I am doing it correctly. I slowed down by pedalling slower and actually putting on some force to slow down the bike. I had to stop as the saddle was on a slant and therefore was rubbing into my inner thigh and it was just getting ridiculous. I brought the bike up to the workshop for them to adjust and by the time I got back down to the track, it started to rain and one of the girls fell off the track as it was slippery. The track was then closed. Not knowing that the track was only closed temporarily, I took my bike back upstairs and swapped my pedals back and then was told that the track was opened again when the rain stopped. I already had taken off my pedals and so I decided to just call it a day and enjoyed the hot crossed buns and coffee and caught up with my friend Sally who also came to try track. Since that day, I have borrowed a track bike off a friend of mine and have successfully ridden the bike and also along the steeper banks of the Edithvale track (around the corner from my house). The bike she has was a better fit for me and I actually rode down on the drops without hesitation. I did about 20min (10km) on the bike and called it a day for now. It was quiet warm for autumn (30 degrees). I had to stop at the 4km mark during my ride to ride near my bag to drink water. I have this bike until ANZAC day and then I will need to return it. I will only buy a track bike (they are relatively cheap compared to a road bike) only if I find another job within April.